Matthew is a senior at Animo Watts Charter High School. 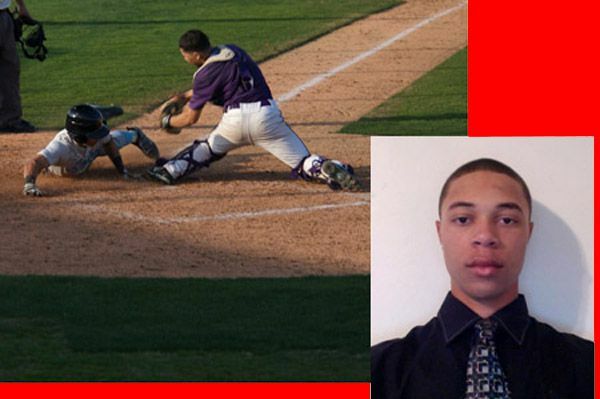 He is a gifted baseball player and top student who has been accepted to every school he has applied to. Matthew has been offered $9,000-$10,000 scholarships at several schools. His top choices are University of Washington and Tuskegee. Matthew has played since he was 3. He has been varsity at Locke the last 3 years, before that he was at another school and is co-captain of the team again this year. He plays center field.He goes to prospect camps. That's how he gets asked to play. Last year he was picked by the White Sox. Recently he went to Seattle and was asked to come to play (all expenses paid) for this summer. Florida A&M, Florida Tech, Tuskegee (with a scholarship), Hofstra, San Jose State, Southern Utah State, Fresno State, Long Beach State, Baylor (with a scholarship), Georgia Southern and University of New Mexico. Matthew participated in the Young Angels Busted 101 taping, and can be seen on our You Tube Channel. He is mentored by his teacher Constance Salomone, who also leads our Young Angels after-school program in Watts. Matthew participated in the Young Angels Busted 101 taping, and can be seen on our You Tube Channel. He is mentored by his teacher Constance Salomone, who also leads our Young Angels after-school program in Watts. I have had the pleasure of knowing Matthew for 3 years now. He is a great student and a gifted athlete. He has a lot to contribute to the aerospace community, and looks forward to getting the education he needs to work in this field. He set goals in his junior year to earn straight A’s in all of his classes and he did. He has continued that goal this year and is taking all honors classes. His hard work and dedication to baseball makes him a leader on the team. Matthew applied to more schools than any other senior in our school and so far has been accepted to all of them. His first choice is University of Washington followed by Tuskegee. Going to college is not just about receiving an education, but pursuing a lifelong career. Unlike most of my peers I understand that a college education is able to give me the extra push I need in life to be successful. Going to college is not just something I want to do, it is a need. As a teenager growing up in Los Angeles I am surrounded by bad examples. To choose a different path shows the world that I am capable of achieving more than most. I will have the education, the experience, and the connections to establish my own aerospace engineering corporation. Being the youngest in my family and the first to go to college will give me not only an escape from a poverty-infested neighborhood, but a way to fulfill my dreams. In order to change the world I must first change myself and college is the first step. Young Angels of America is a 501 (c) 3 organization that teaches entrepreneurial leadership and event production to middle and high school students so they can support causes they believe in. Our current initiative supports YA college prep and financial literacy programs in Green Dot schools in South Los Angeles Schools and Watts, California.